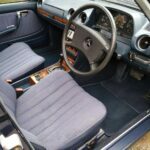 Midnight Blue, Blue cloth interior, 4 speed automatic gearbox, Zebrano wood, 4x electric windows, steel sliding sunroof, front and rear headrests, rear luggage cover and cargo net, luggage nets on front seat backrests, 1/3 2/3 split folding rear seats, third row of rear-facing folding seats, original alloy wheels, central locking, all original tools and manuals, full service history, three owners, 99,000 miles. 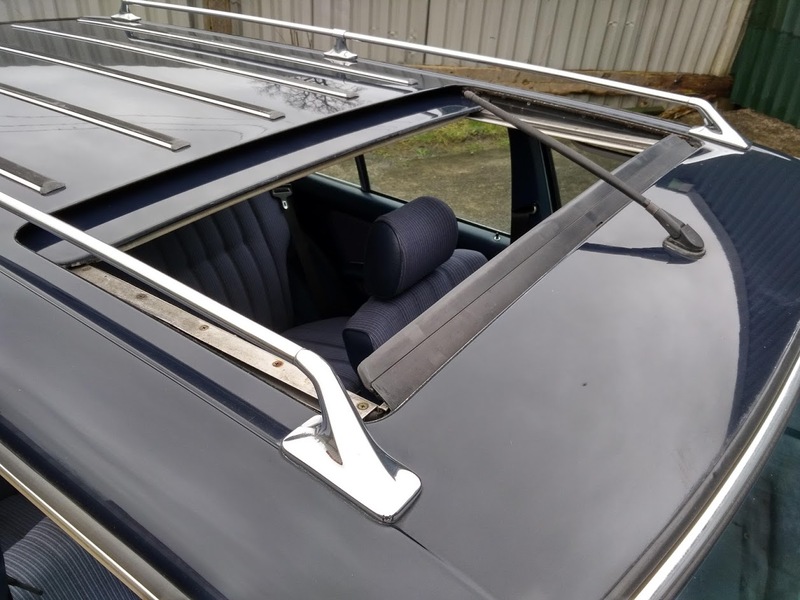 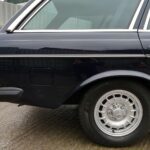 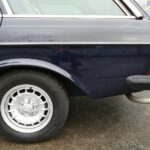 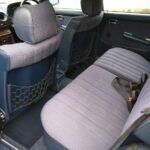 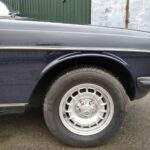 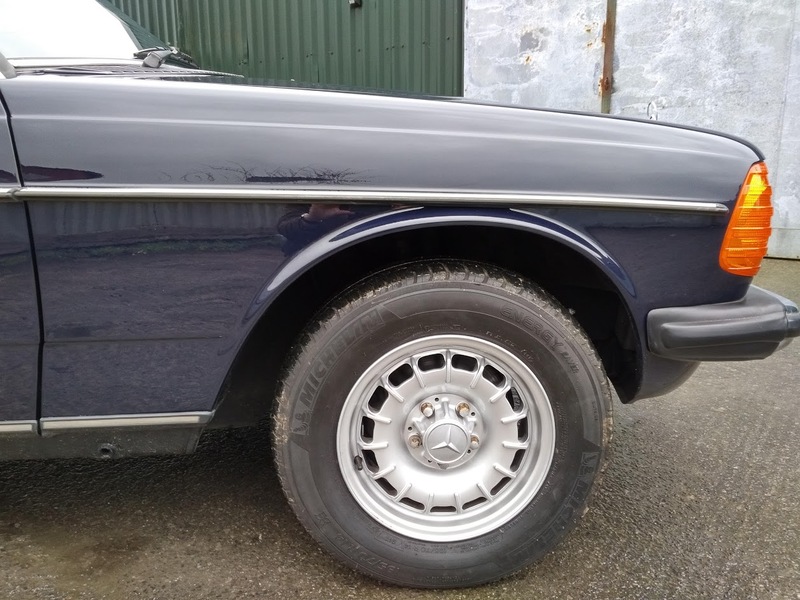 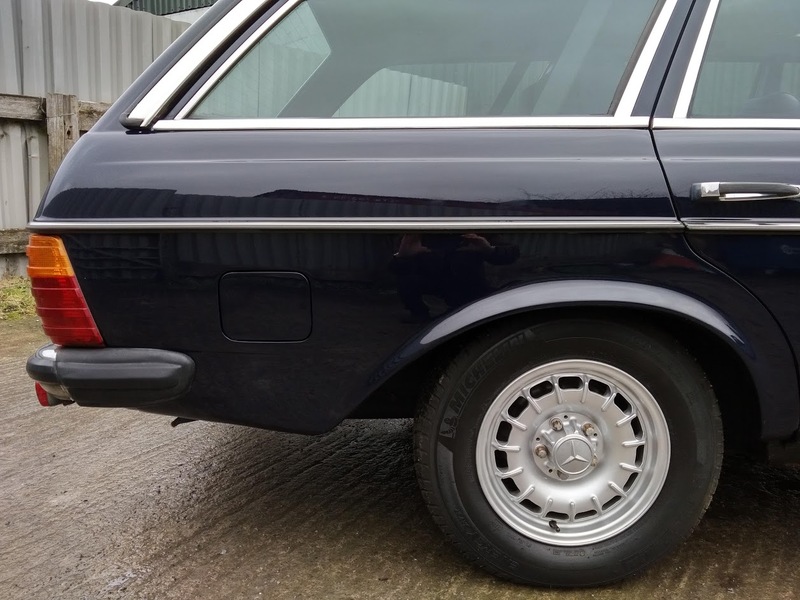 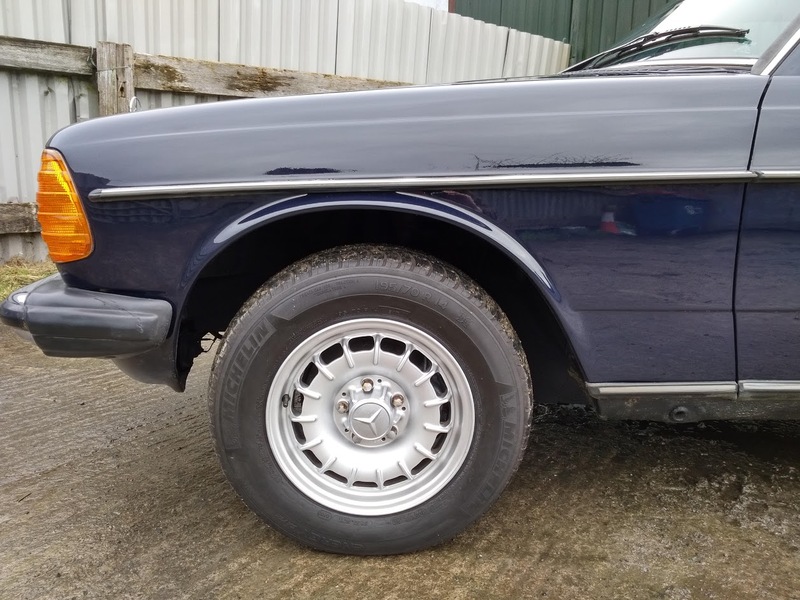 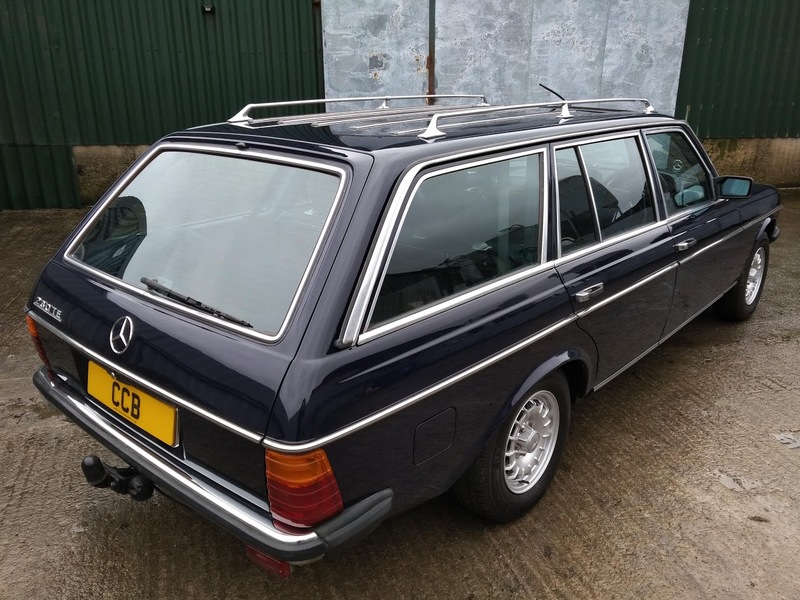 It is difficult enough to find W123 saloons and coupes in the condition we would want to sell, but these days we don’t expect to find nice estates at all. 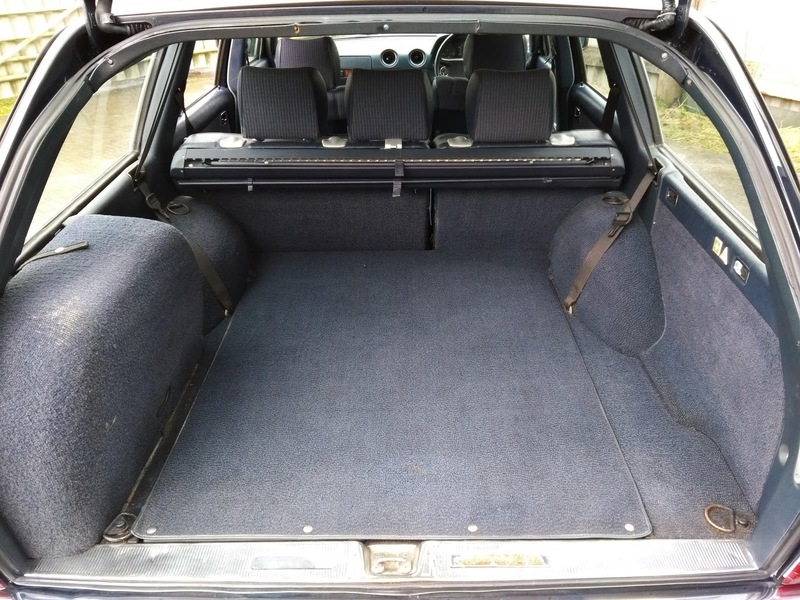 Most of them have long ago been worked to death as family holdalls or tradesmens’ van substitutes, with very hard use and poor maintenance. 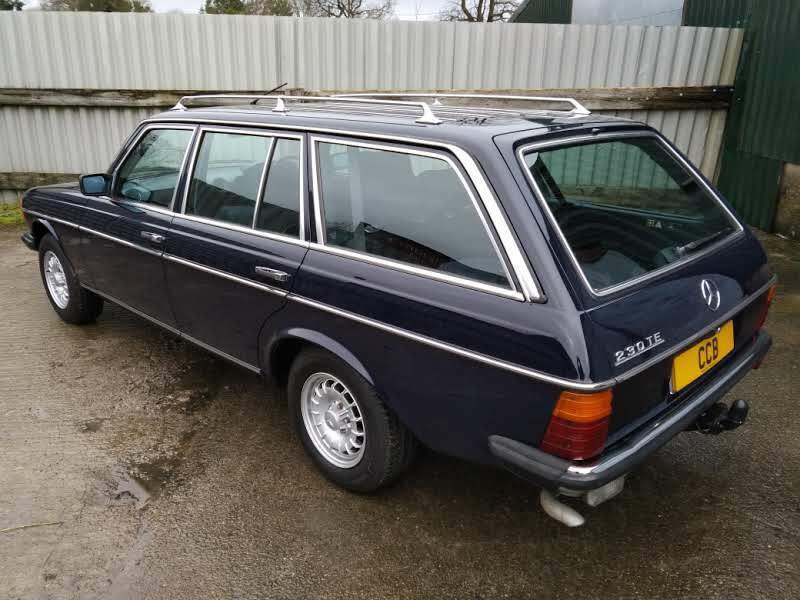 This one is all the more remarkable in that it has been sparingly used by only three owners and has been kept in beautiful condition throughout. 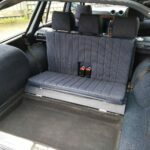 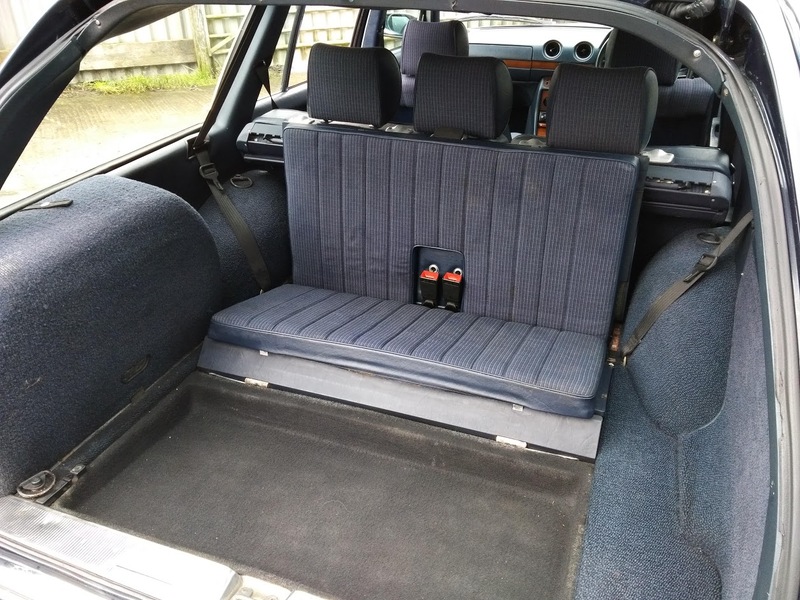 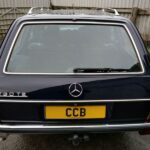 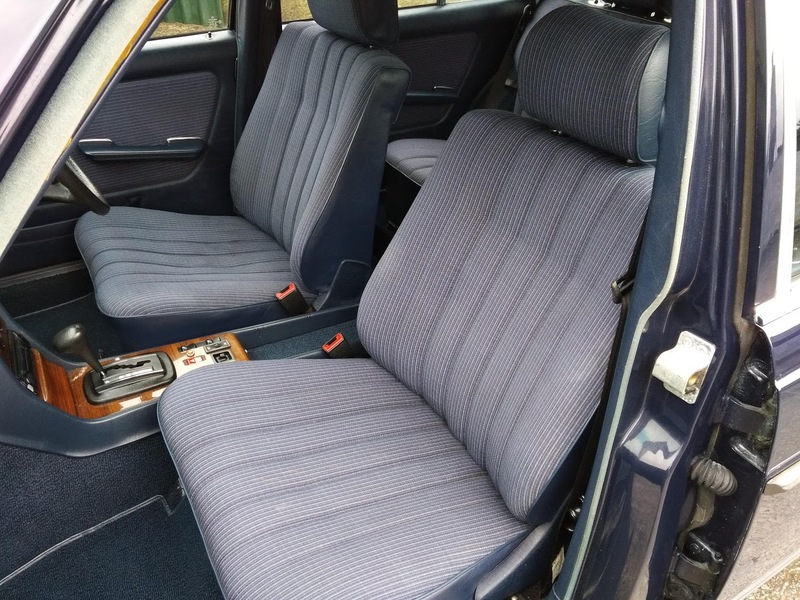 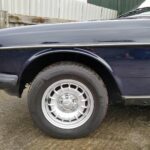 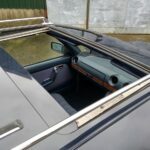 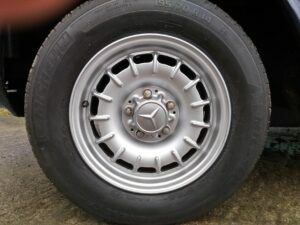 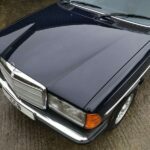 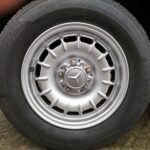 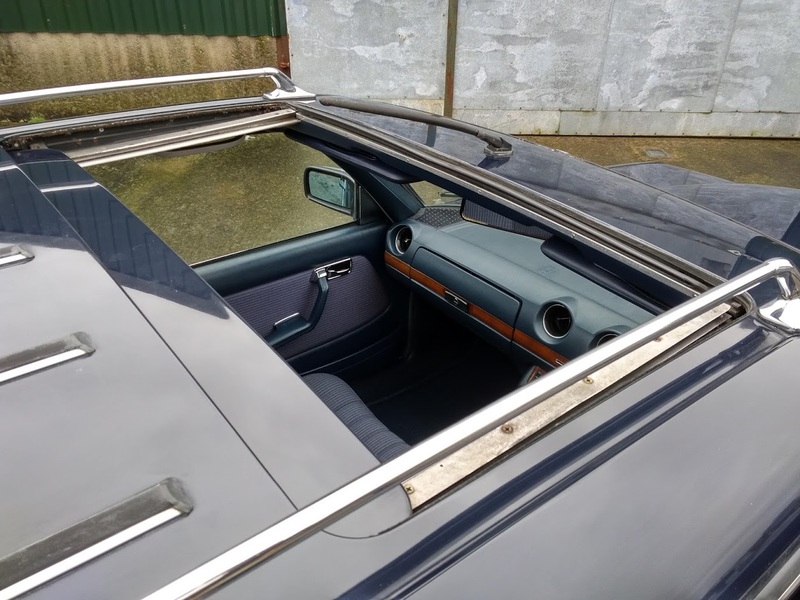 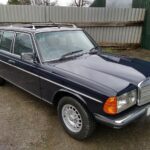 It was supplied new by Malaya Mercedes-Benz of Billingshurst, Kent in April 1985 to a director of an electronic equipment company in Pulborough. 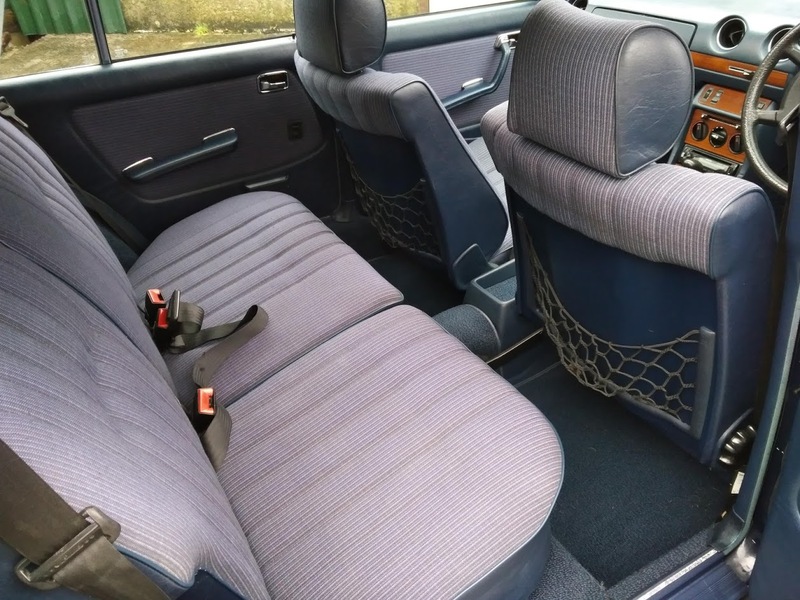 He kept it for 23 years until October 2008, by which time it had covered around 93,000 miles. 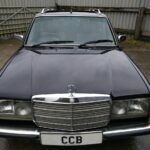 It then went to a collector in London who kept it for a further five years but hardly used it. 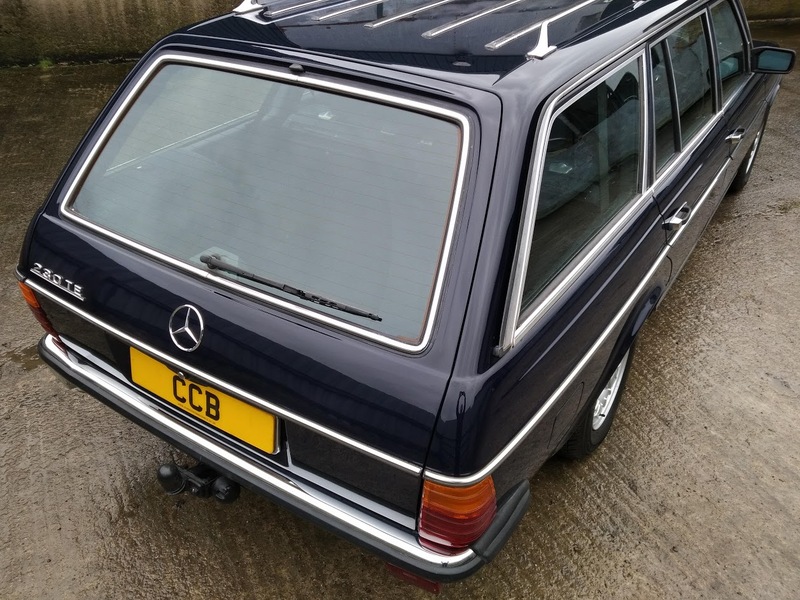 In August 2013 it went to its latest owner, a lady in Haywards Heath, who has kept it until now. 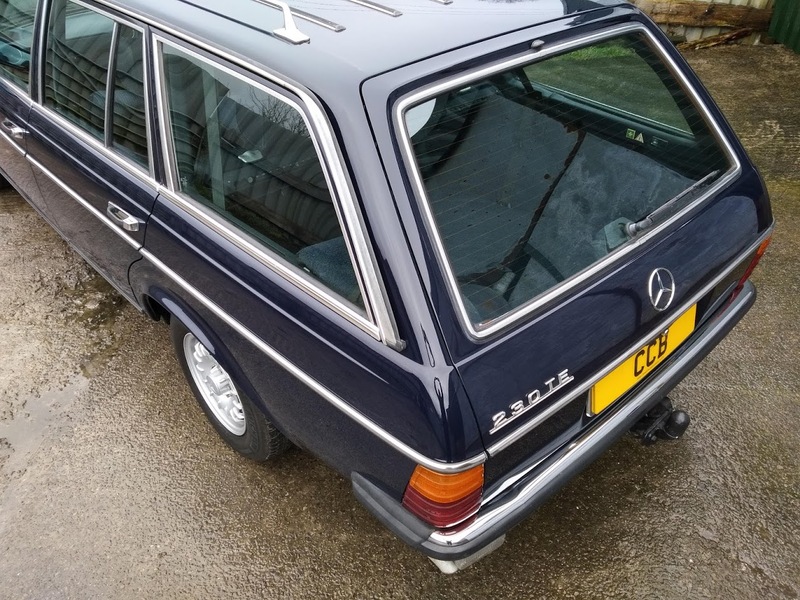 In the service book there are seven stamps from the supplying dealer, three from another MB dealer and six from non-franchised garages. 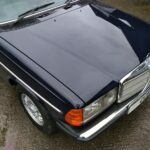 As well as the stamped up service book we also have many maintenance invoices and all MoT records back to 2004. 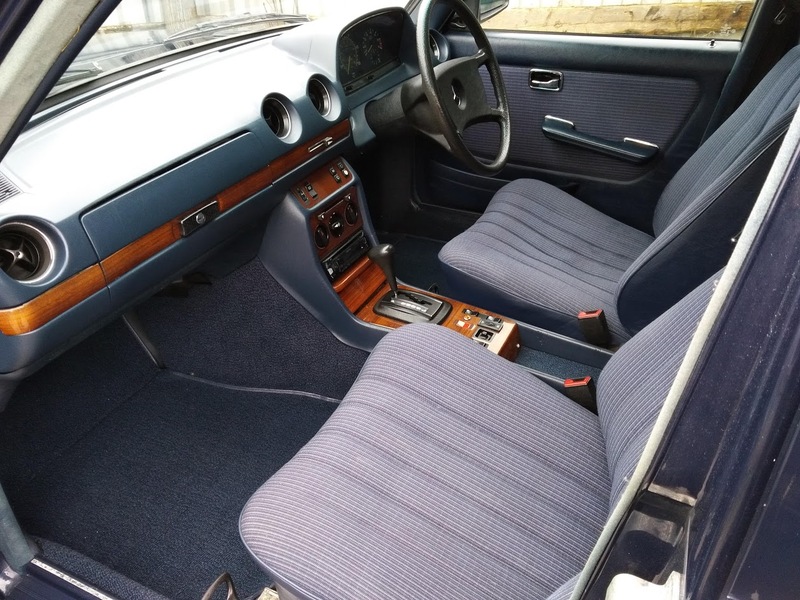 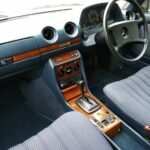 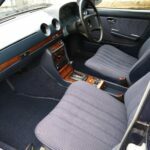 The car drives beautifully and looks absolutely wonderful in the unmarked dark blue paint scheme, which is complemented beautifully by the blue cloth interior. 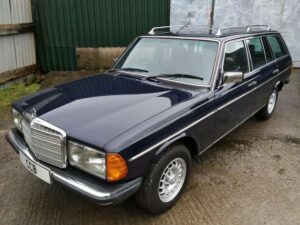 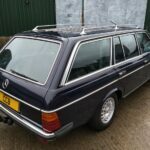 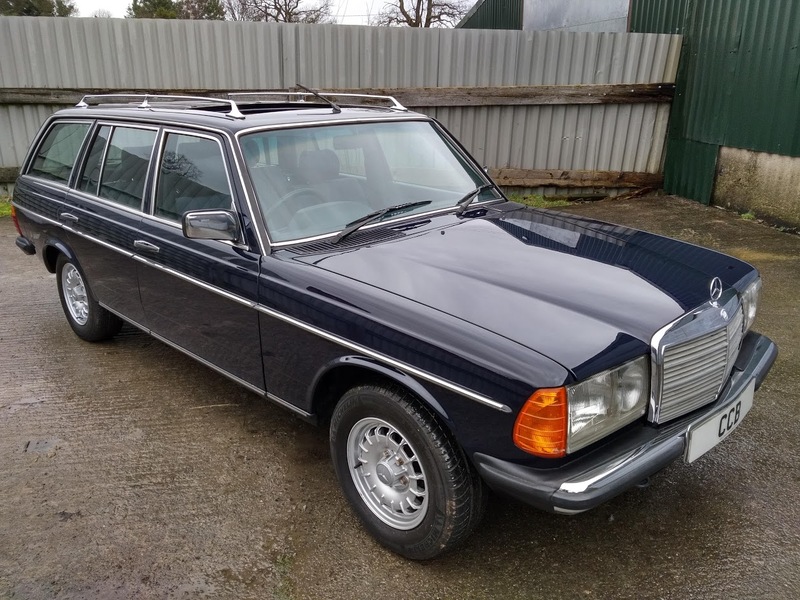 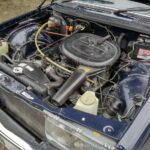 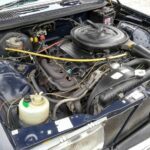 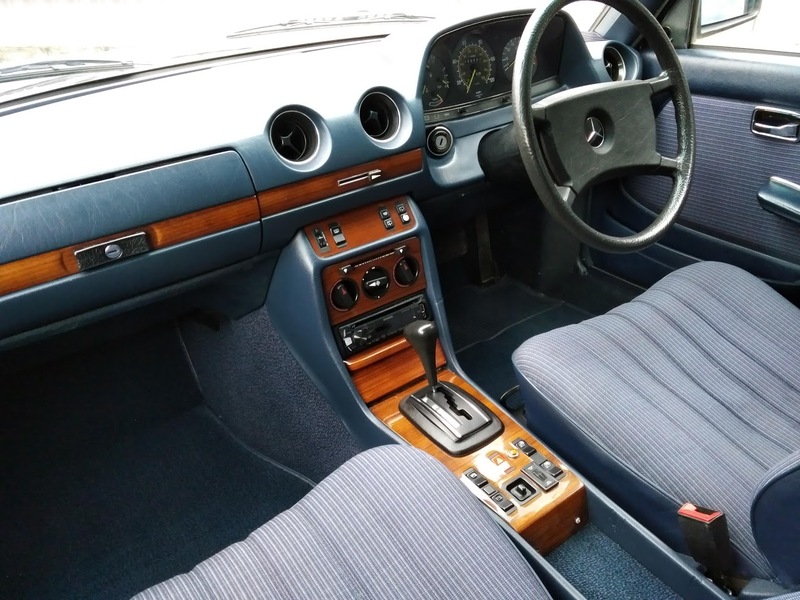 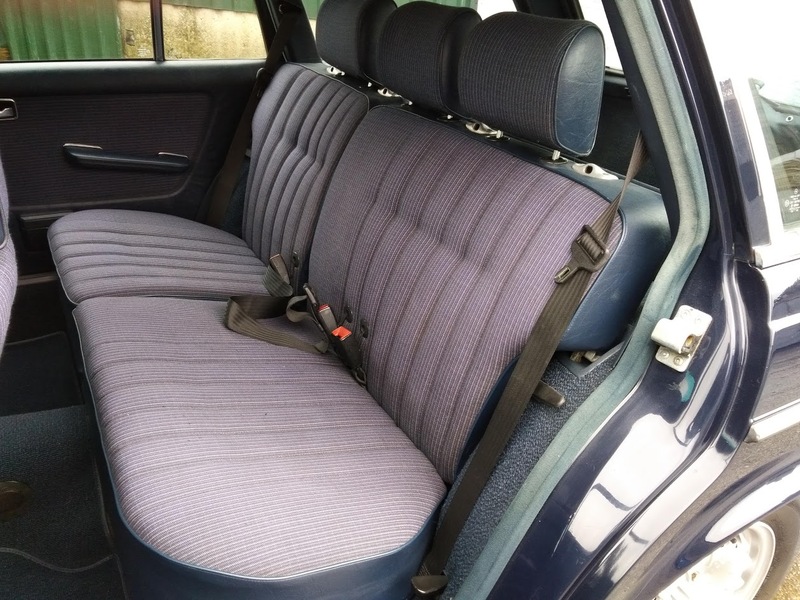 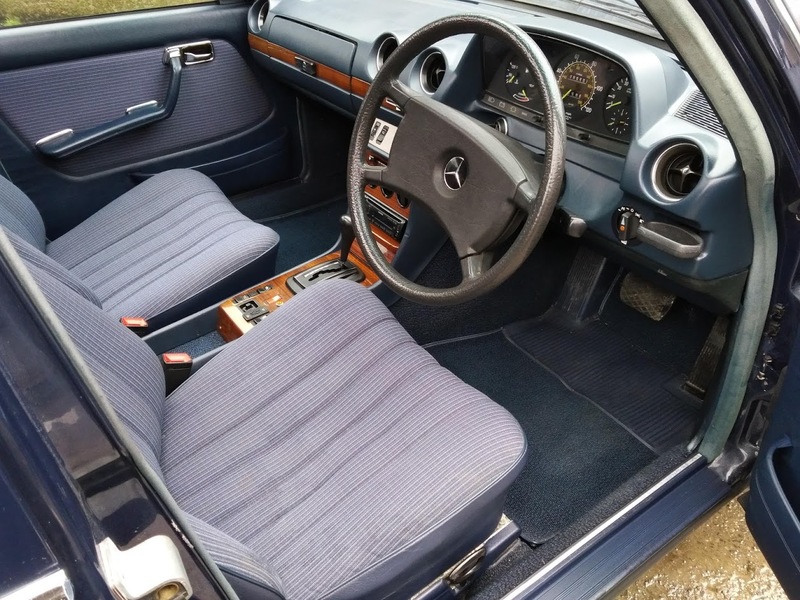 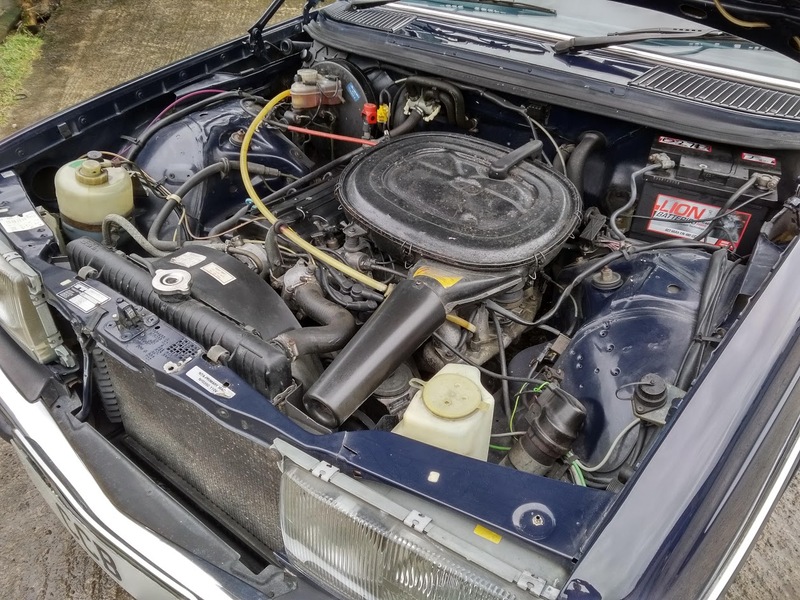 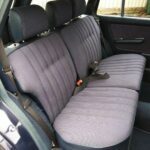 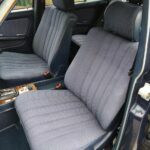 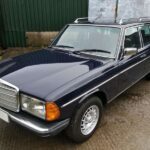 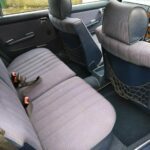 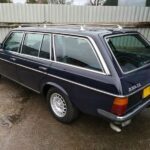 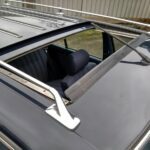 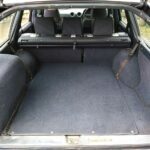 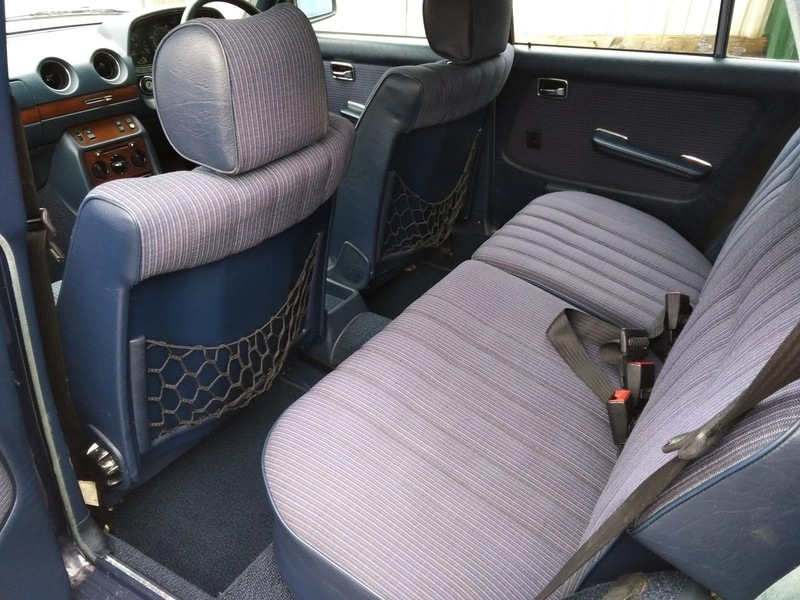 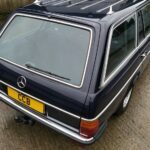 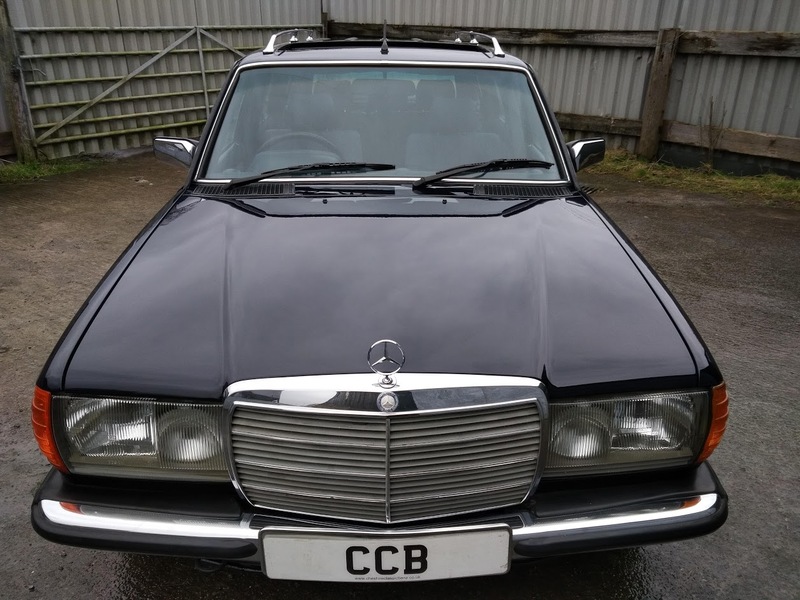 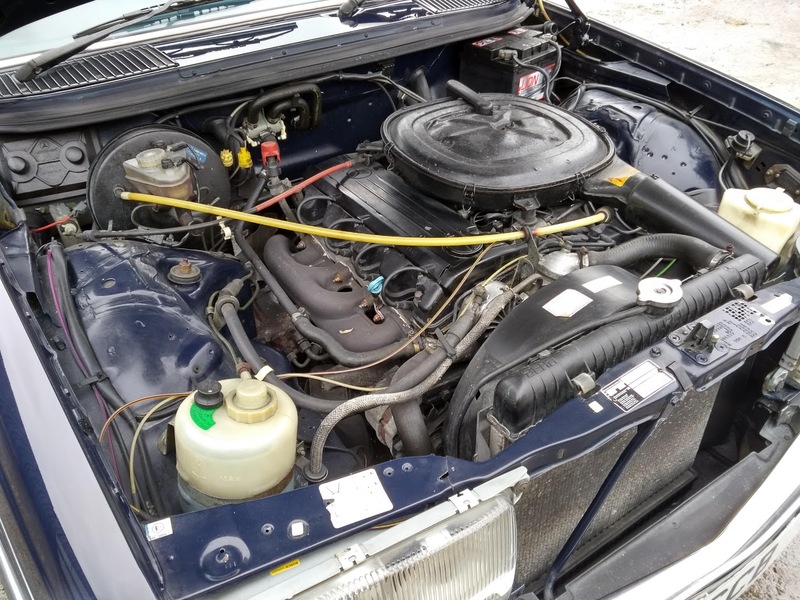 The car is not perfect, but overall we consider it to be in the top 5% or less of W123 estates remaining in existence (and we see a good number of them!). 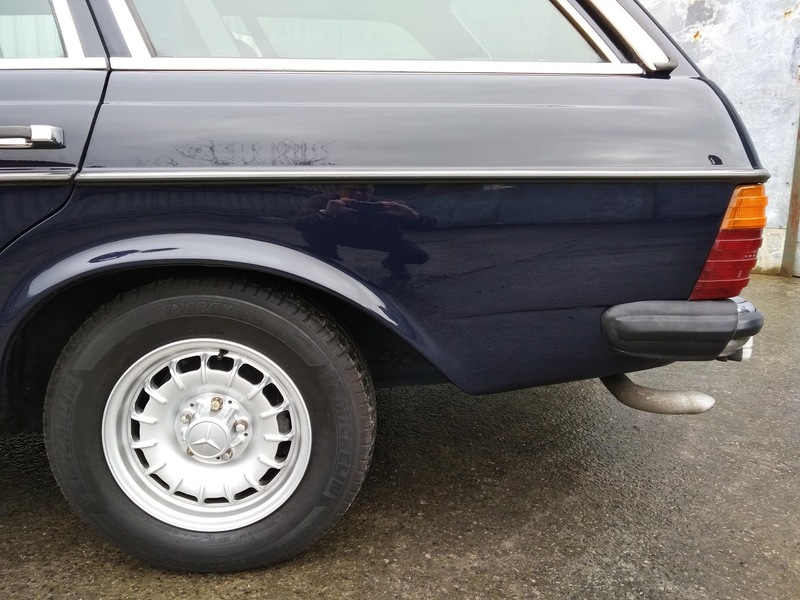 Things that we would note are very slight shading to driver’s seat fabric (visible in the pictures), very slight ripple to rear bumper (visible in the pictures) and broken clip on rear luggage cover. 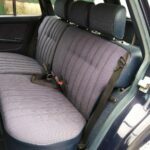 None of these things will detract from the enjoyment of ownership, and can be attended to as and when time permits. 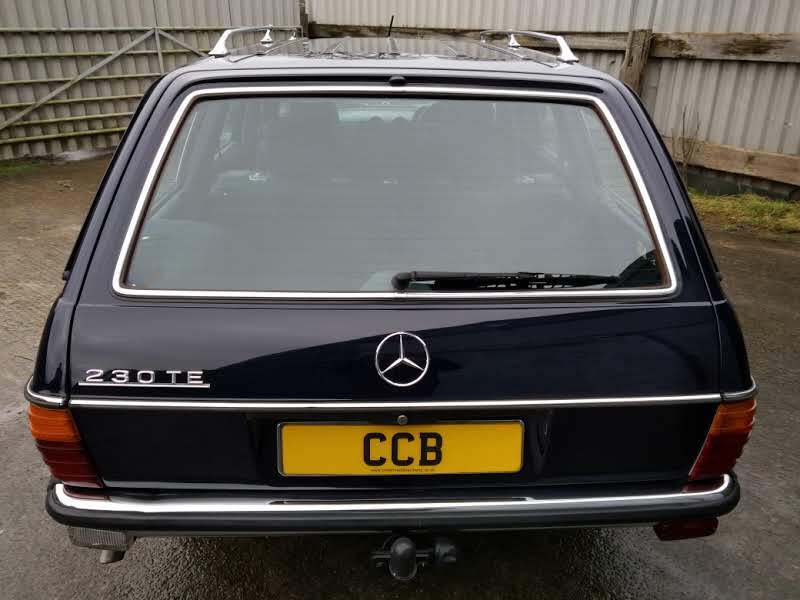 If this were our car we would keep an eye out for a secondhand passenger side seat cover (they are interchangeable with the driver’s side) in the correct shade, and a secondhand rear bumper. 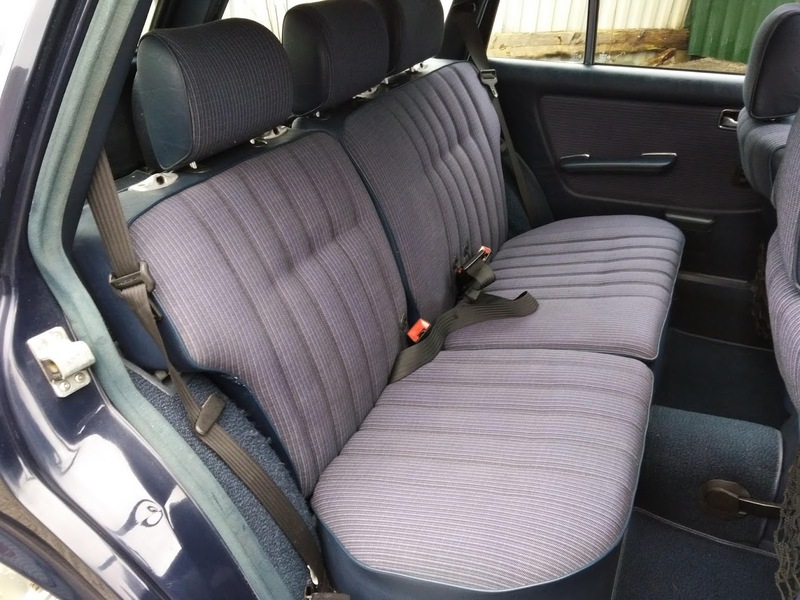 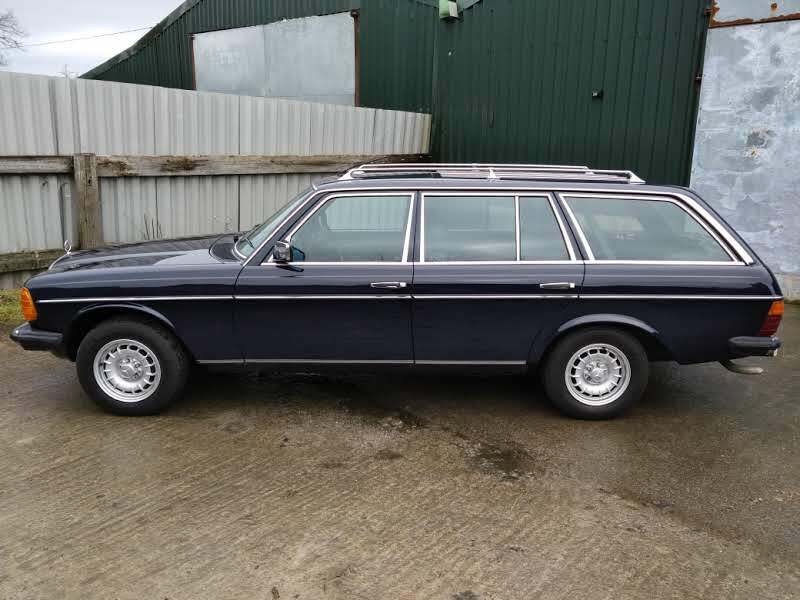 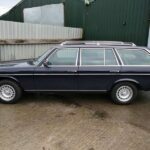 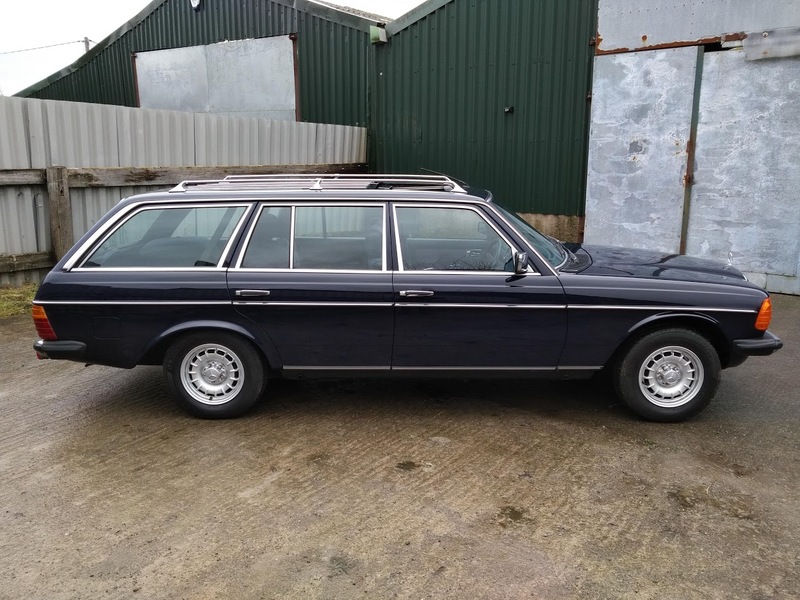 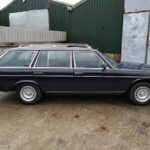 This is a rare opportunity to acquire a sympathetically used W123 estate with impeccable provenance, now that most of the remaining ones are well and truly past their best. 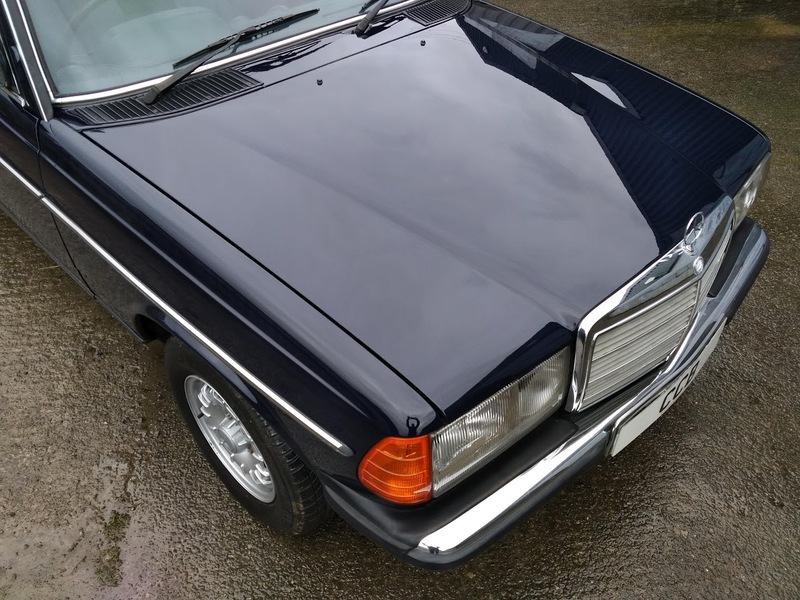 Regardless of whether the new owner keeps it as a high days and holidays car or uses it sparingly as an everyday car it will deliver many years of pleasurable returns, far in excess of its modest purchase price. 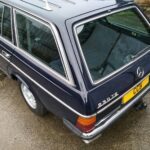 Values of this model have increased significantly in recent times, and we cannot see them doing anything other than more of the same in the years to come. 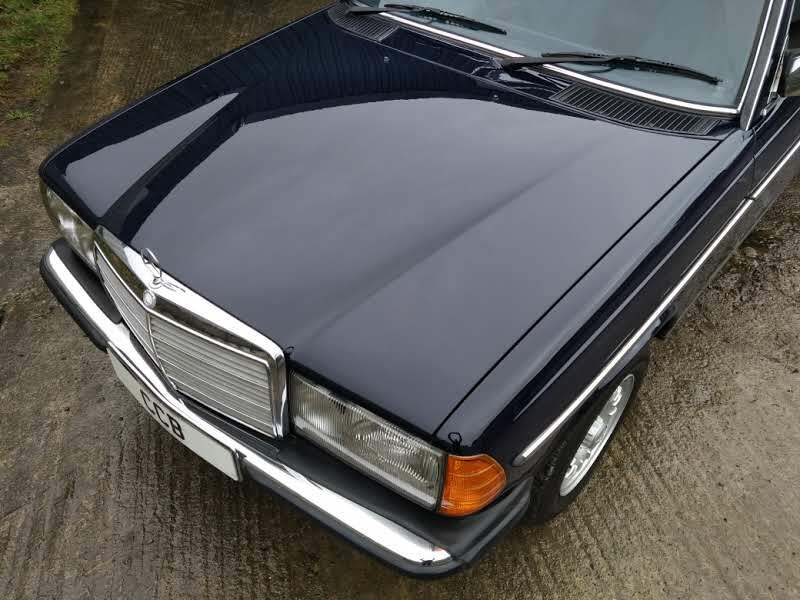 It is therefore truly a purchase that can be recommended by both the heart and the head.